Three birds and a horse. Assemblage in old wooden box from carpenter studio. 40x20x10cm (16x8x4inch). Inlay is a peace of a game where you had to shoot marbles to collect points. 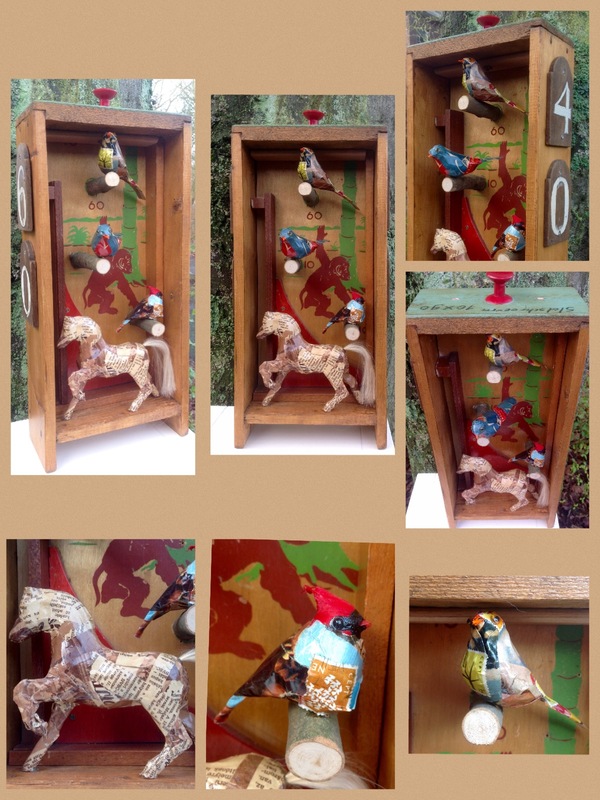 Birds and horse are glued on with old paper from magazines and finally varnished. The numbers on the sides are from a former church in the Middelweg in Leiden.